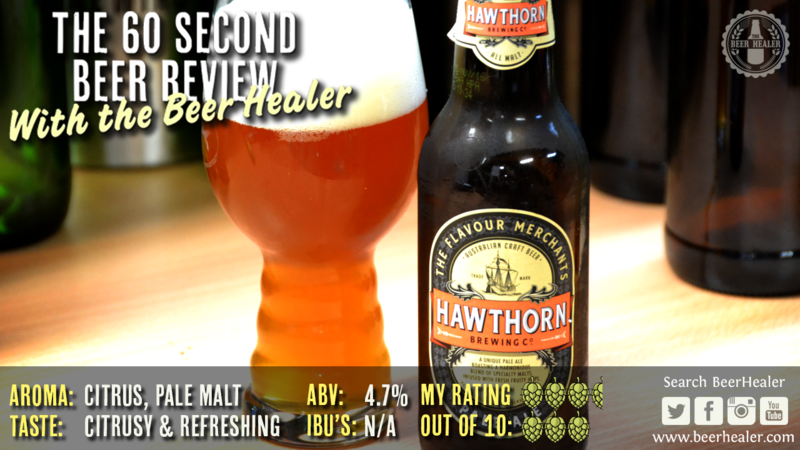 Back again with another 60 Second Beer Review, and this one is about a top bloke who has worked hard and is starting to reap the benefits. Two weeks in a row I am featuring a brewery who has recently been bought out by a big brewer in their home country. Yep, this week I am talking about Pahnead Custom Ales, recently purchased by Lion NZ (cue the usual arguments about selling out, blah, blah, blah! ), after a very successful first 3 years as a business. Myself, I think its a pretty good thing…if Mike can continue to chase his passion of brewing while getting his beer into more peoples hands and being rewarded financially…more power to him! Right, the beer, its a Red IPA (well I spose it’s a DIPA at 8%) and it is part of the Canheads series that are now part of the regular rotation at Panhead. But don’t let me ruin the video fro you, check it out below! If you didn’t catch my video from last week, it was the Golden Road Brewing Heal The Bay IPA. You can find it in the menu above, or click here.